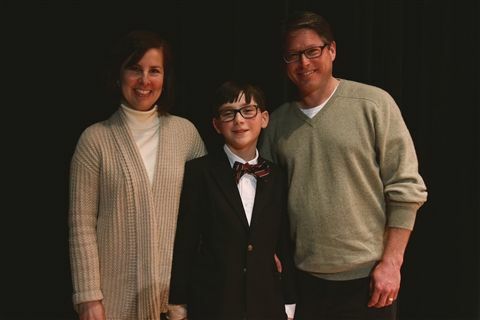 Sixth Grader and Junior Research Fellow Andrew Michaelson explained the fascinating concepts of space bending, wormholes, light speed and hyper drive in his presentation on Interstellar Travel this week. The thorough and articulate presentation not only explained these advanced concepts but provided insight into recent advances as well as the challenges that scientists face in the future. 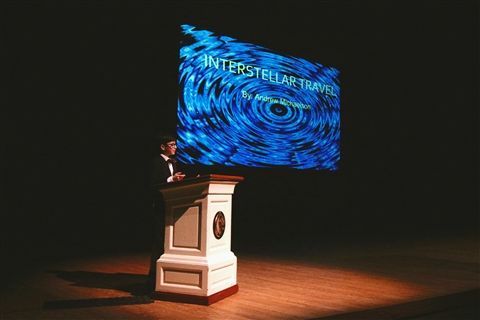 For several months Andrew has been exploring the real possibility of interstellar travel with guidance from his mentor Mr. Paul Glister, a founder of the Tau Zero Foundation and author of Centauri Dreams: Imagining and Planning Interstellar Travel. Congratulations Andrew, we are proud to call you a University School Junior Research Fellow!